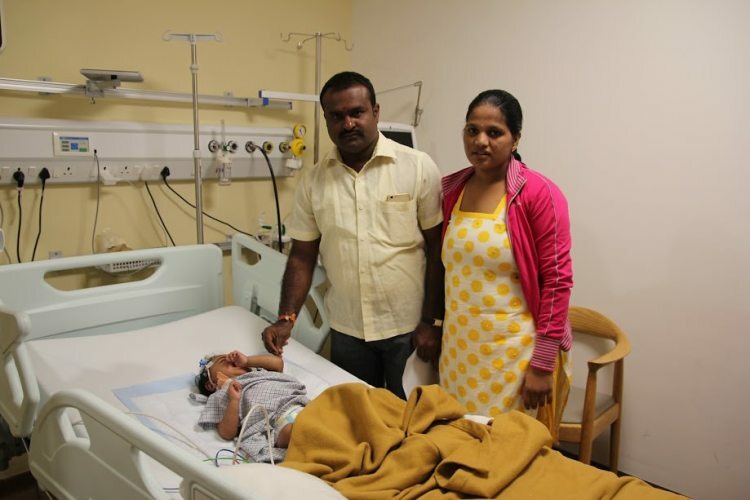 Divya and Siddaraju were over the moon to take their baby boy home after his bone marrow transplant. 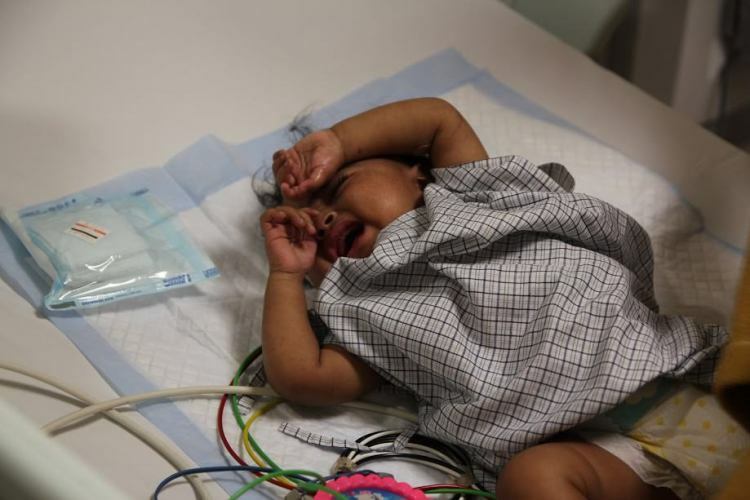 Their baby was in the hospital since he was just 5-months- old due to a serious immune deficiency disorder that makes him vulnerable to dangerous infections. He was finally taken home after a long fight. 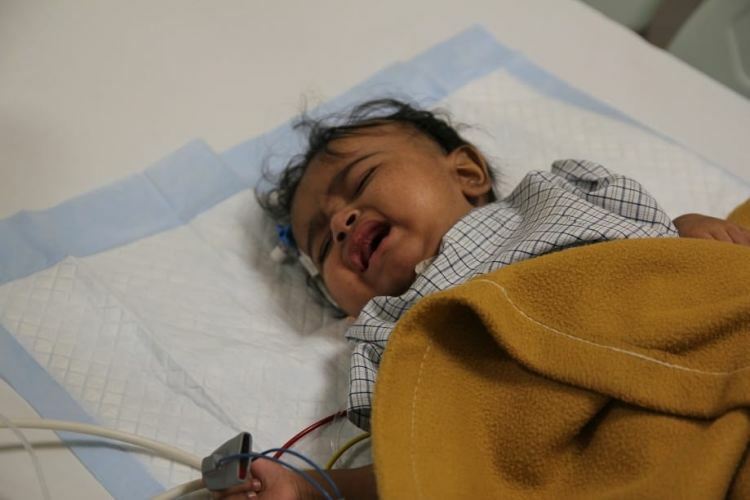 However, only one month after the transplant, their baby is back in the hospital again. This time he’s fighting a life-threatening infection that can be beaten only with antibiotics and hospital care. Divya and Siddaraju can’t believe that life has brought their baby close to death once again but giving up is not an option. Divya and Siddaraju’s hopes of a happy home have been crushed. While they haven’t given up on their baby, they’re overcome with the sadness of watching their baby suffer so much. 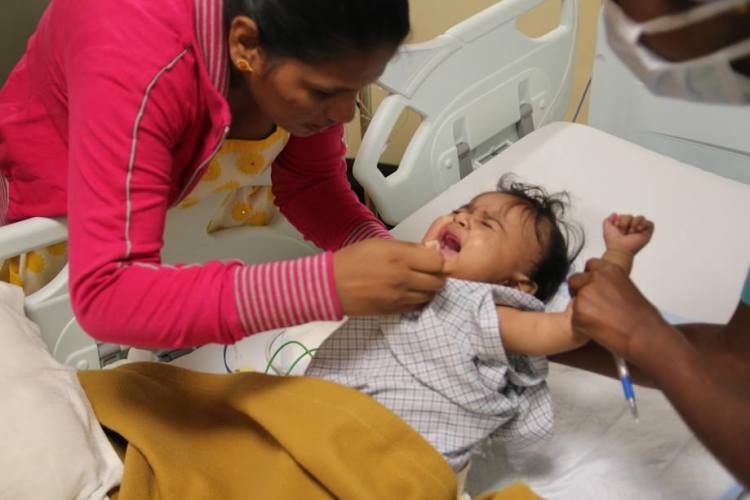 Divya carries him to try and pacify him, but the crying never stops. Siddaraju is a farmer and makes a meagre amount. He travels every day by bus from his village near Bangalore and stays all day in the hospital. He has tried his best to stay strong and do everything to help save his baby, but he finds himself failing now. 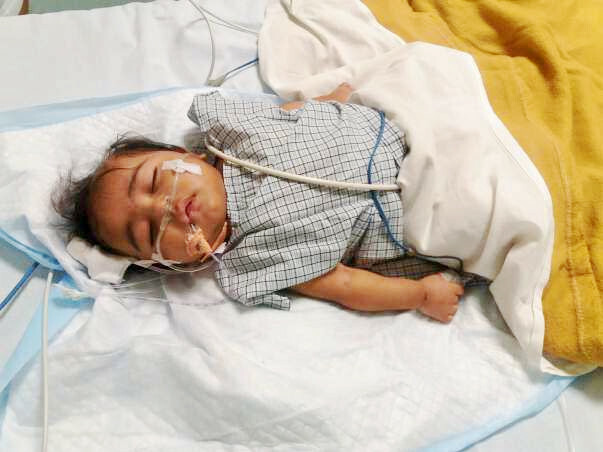 He can’t afford the 6 lakhs needed for his baby’s treatment, and the thought of losing another baby is killing him. 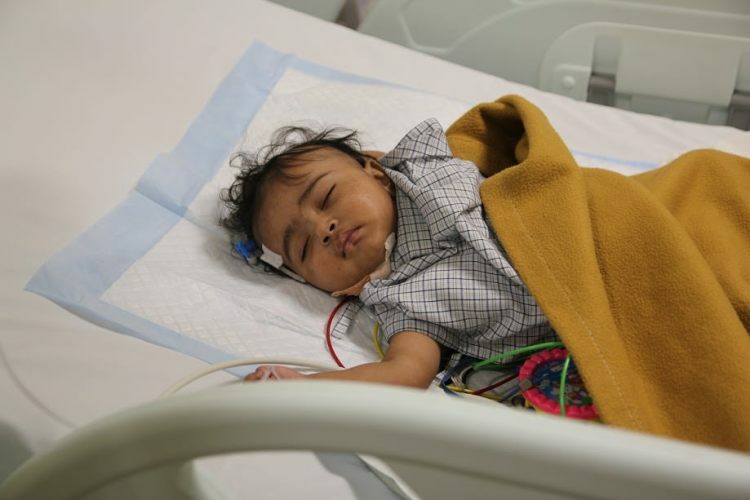 Divya’s baby needs to stay in the hospital to recover, but his parents don’t have the means to pay for his treatment and fear losing him every day. Their baby has come this far with the bone marrow transplant and can get better. It’s his only chance to beat the infection and survive. 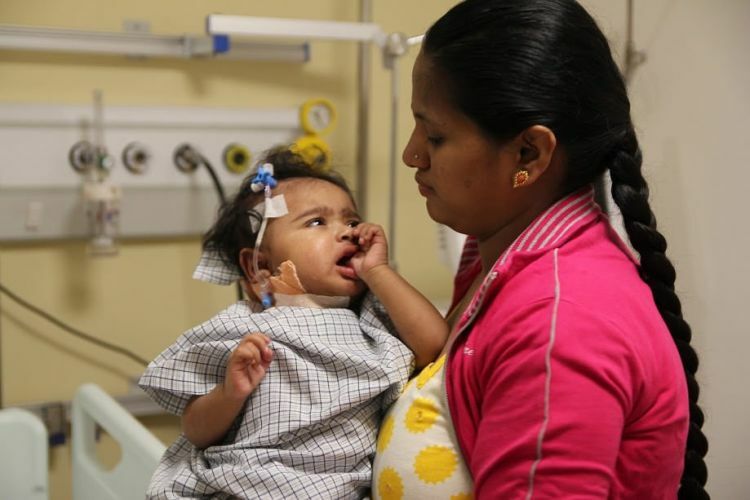 Your support can save Divya’s baby’s life. Thank you for the wonderful support that you have shown towards divya's baby. He had successfully undergone the bone marrow transplant procedure. A recent test during the follow up showed a few complications. Upon further investigation, it was found that his body had rejected the transplant. 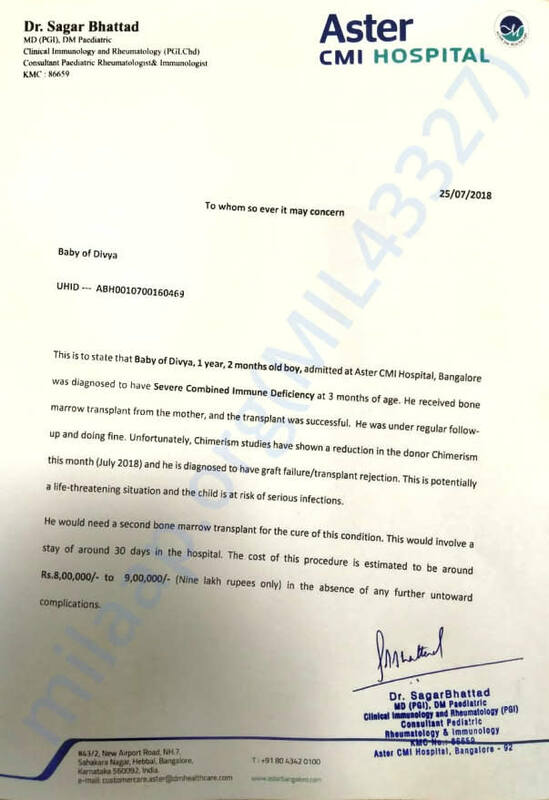 He has been admitted to the hospital and is going to need another bone marrow transplant which will cost about Rs 9 Lakh. To meet these expenses we will be starting a new campaign and stopping this campaign. 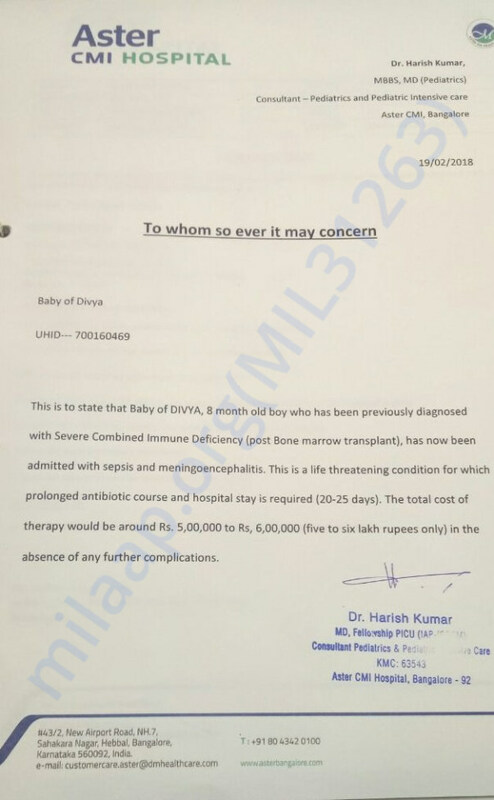 You may support his treatment on https://milaap.org/fundraisers/support-baby-divya. Thank you for the wonderful support. Please share the above-mentioned campaign link with your friends and family to help us in raising funds towards his treatment.